Supreme New York and Nike Sportswear come together to celebrate 30 years of the Air Force 1 with the NYC squad designing three smooth looks for the AF1 Low. 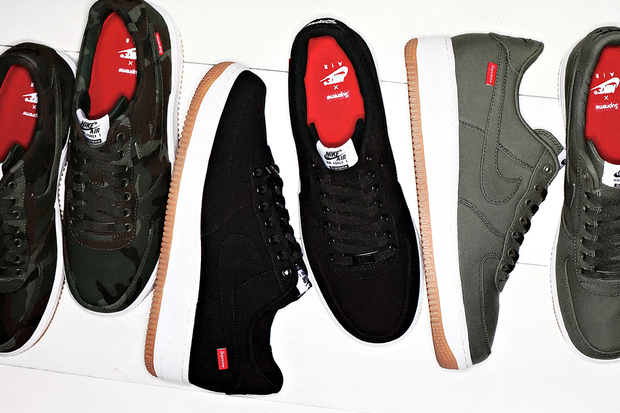 The Supreme x NSW Air Force 1 Low Collection features three Cordura-based designs, an extremely durable fabric also used by the military and many classic companies. 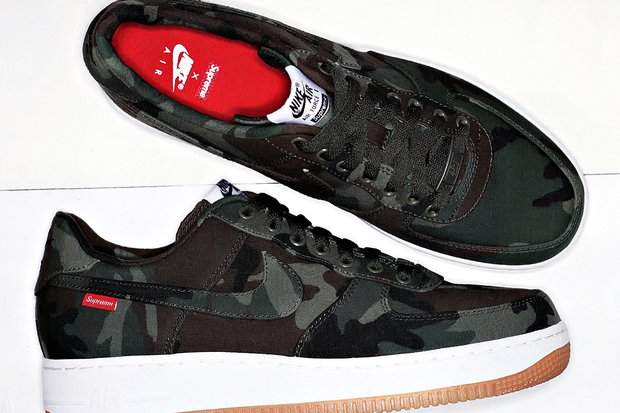 Supreme brought to life black, olive and camo-covered looks for the Air Force 1 Low, each sporting Supreme branding and a traditional white/gum sole. The Supreme x Nike Air Force 1 30th Anniversary Collection is expected to release this November. Stay tuned to Sole Collector for official details.